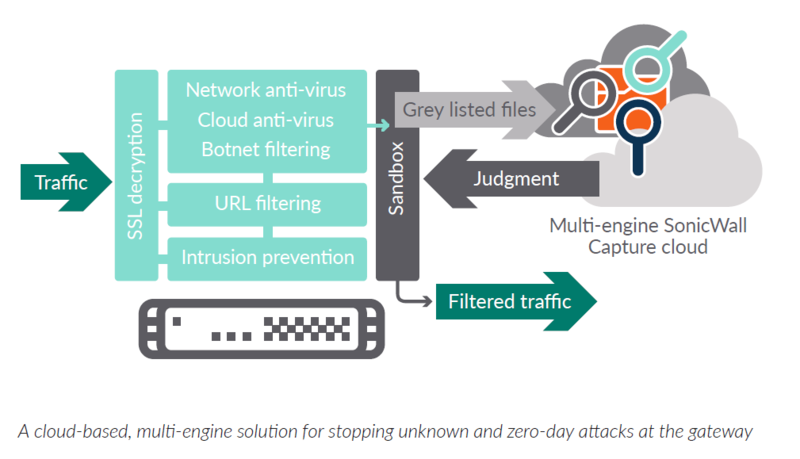 To protect customers against the increasing dangers of zero-day threats, SonicWall Capture Advanced Threat Protection Service (a cloud-based service available with SonicWall firewalls) detects and can block advanced threats at the gateway until verdict. This service is the only advanced threat-detection offering that combines multi-layer sandboxing, including full system emulation and virtualization techniques, to analyse suspicious code behaviour. This powerful combination detects more threats than single-engine sandbox solutions, which are compute environment specific and susceptible to evasion. fast response times and reduced total cost of ownership.